Treatment. You will be examined and evaluated at that visit and individual recommendations for your particular case will be made. You will then receive a Bio-Thermal Therapy® Treatment designed to support your body to support your body to fight the infection along with gentle currents that specifically have an antibacterial, antiviral, and antifungal effect. This general outline is for orientation and education about the approach to natural treatment. We treat respiratory infections every season and keep the office cleaned and ventilated. Additionally we have a propolis diffuser that reduces bacterial and viral count 98% in the air that treats and protects us all. There are two aspects to infection care- the general treatment and the specific treatment. General treatment works to harness the general anti-infection processes in the body. Specific modifications direct those forces to the area affected and the specific type of infection. 1) Diet– Simple diet, generally steamed vegetables, chicken or vegetable broth, and fluids such as water, lemonade, orange, or cranberry juice. 2) Rest– The body needs the energy to heal. We should conserve our energy with the fruitful rest, periodic fresh air deep breathing while maintaining an optimistic attitude – all of which improve immune function. 3) Natural Medicines – Internal herbal, nutrient concentrates, and homeopathic medicines are a powerful trinity of infection-fighting support. 1/2 tsp Antiviral Drops, 2 Immune Plus every 2 hours, Dococill (Oscillococcinum) 1 dose 4 times daily is a common general prescription Throat Drops and Lung Drops are also recommended to have on hand for this season. 4) Bio-Thermal Therapy® – No medicine can replace what this Naturopathic therapy does. These treatments improve immune function, circulation, lymphatic flow, detoxication, in general, along with the specific benefits of the individual biotherapy modalities themselves. For example, UV Light will kill strep bacteria in the throat with a short 10-second exposure. In respiratory infections – sinus, lungs, throat, bronchi – Shortwave Diathermy has tremendous benefit. Feeling like a velvety warm heating pad, it helps treat bacterial, fungal and viral types. Sinus infections, throat infections, ear and bronchial infections, and lung infections respond very well to diathermy treatment. In the first hospital study of diathermy in the 1920’s it reduced the number of people expiring from pneumonia from 1 in 4 to 1 in 8. It has been studied and in use internationally for this purpose ever since. If a fever is part of the infectious process these following specific elements of treatment, are important. 1) Fresh Air -is essential. Fever increases the rate at which our cells use energy and make wastes such as carbon dioxide. It will increase our oxygen needs significantly by 13% for every 1°C. So open the windows periodically. 2) Restricting Food Intake – For symptoms with a temperature of below 99.5°F, an individual’s diet should consist of gently steamed vegetables, chicken, vegetable, bone or Bieler Broth, water and diluted fruit juices. If your infant of 3 months or younger has a fever over 99.5F oral equivalent, call the office right away. In most cases, only water and herbal teas or very dilute orange juice are indicated for fevers over 99.5F. This does not include breastfeeding infants, pregnant women, and diabetic patients on insulin – these individuals should continue to eat supportive foods (infants should continue to breastfeed). 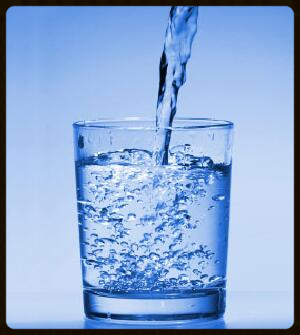 3) Water intake is critical. The heat of the fever will dehydrate us. Dehydration is the real risk associated with a fever. Dehydration can make a fever run recklessly high – prevent it with copious water intake, include a small amount of mineral water to supply electrolytes. Hydrotherapy treatment harnesses the benefits of the fever, eases discomfort, improves immune function, hydrates our tissues, and safely keeps the fever under control. Your Naturopathic doctor will prescribe which type of Hydrotherapy depending on your condition and symptoms. 4) Natural Medicines Homeopathic Belladonna 30c for fevers of rapid onset, Aconite 30c for fever after cold exposure, Ferrum Phos 6x for mild fever, Nux Vomica 30c for fevers that start after a overindulgence in food or drink. Take 1 dose every 30 minutes until the fever subsides. Alternate medicines if unsure of which to use. 5) Rest– until the fever passes. If you are fighting an Infection, the Earlier You Take a Treatment the Better, So Do Not Hesitate! If you are an established patient at our clinic, there is no need to schedule a full office visit to treat an acute infection. Instead, let the front desk know you need an infection evaluation visit along with a treatment. If needed, we can do a rapid in-office laboratory tests to see if you are suffering from the flu or strep throat. We can also take a blood sample or other culture if we suspect whooping cough. Additionally, we are able to order an x- ray if we suspect pneumonia, etc. Save time and money by scheduling this acute treatment visit. IV Immune Nutrients– In some cases, an IV immune push along with anti-viral agents can help with dehydration and significantly help immune function. The doctor will prescribe these when indicated. Natural Medicines – If you are taking Congaplex, increase the dosage as indicated above, and start Anti-Viral Drops which contains various anti-viral and immune support herbal medicines. At your treatment visit, we will prescribe targeted homeopathic or other medicines as indicated and advise on a treatment course.